i love greens...and besides, it brings out the color of my brown eyes. 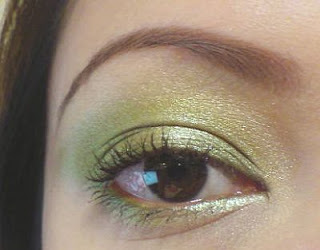 so for today, my eotd will be 2 shades of green and something gold. used: TM pigment in China Jade on the inner lid and lower inner lashline, TM pigment in Sage on the outer lid, crease and lower outer lashline, Modelco browkit in Dark and Elianto Fake Lash Mascara in Brown and Artdeco e/s in #44 for the browbones. 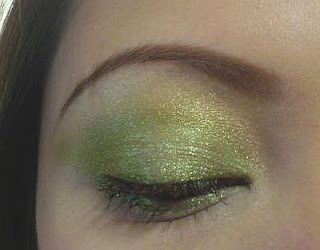 I actually came across this site through makeuptalk. I noticed you use MAD Minerals pigments. Have you ever tried their foundations? And if so, how do you like it? 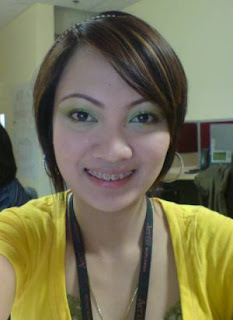 hi..yeah, tried them once but i am not really into mineral foundations. i spend a lot of time doing my eyemakeup so i prefer liquid foundations. as for MAD foundies, it's medium coverage but for a longer staying power...i'd go for Monave.